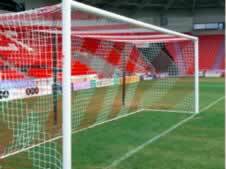 Soccer nets (football nets) available in both box type and angled type, to suit senior, junior and futsal competitions and all club budgets. 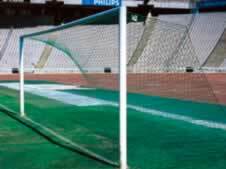 We also offer customised coloured soccer goal nets. Take a look at our soccer net and futsal net options below. 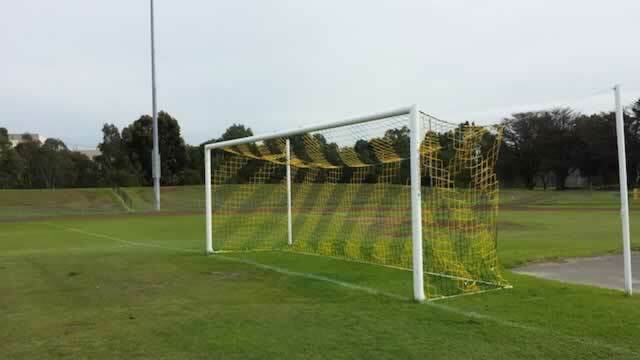 Our soccer goal net clients include clubs, high schools, local councils, indoor sports centres and universities. Our high quality soccer nets are of international competition standard. We can also design and install Soccer and Futsal field perimeter netting, call us to discuss your needs. Looking for AFL football nets? Details: Senior Soccer Nets. Available as pair only. Keen to personalise your home ground? We've got an exciting new personalised goal net product - in your own club colours!